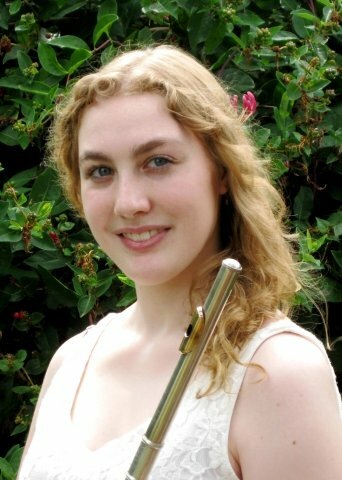 I am a flutist that is experienced in both teaching and performing. I began playing the flute when I was ten years old and have since earned both bachelor and master degrees in flute performance. Besides flute, I also can play and teach piano. Within my lessons, I include Music Theory, however I can offer one to one theory lessons. Teaching has always been my greatest passion and I hope to encourage my future students to love music as much as I do. Whether you are a student or an adult with little or no experience, are wanting to go for a grade, or just want to play for fun, I'm willing to make the lesson just what you want and need it to be. While teaching kids is always a fun experience, I'm especially interested in teaching adult learners who want to take up an instrument. If you are interested in grading, I tend to lean toward Trinity College of Music, but am happy to use whichever grading system you would prefer. Hour lessons are £35, half hour lessons are £20. EmilyFrom Helen (5/5): Very helpful and encouraging. EmilyFrom Salley (5/5): I have nothing but praise for Emily but your site is very unhelpful as although I paid for her details they never came hrough so we were not able to fix up a trial lesson. So pleae reimburse Emily for any costs. EmilyFrom Helen (5/5): Emily is an excellent teacher. I'm thoroughly enjoying our lessons and am thrilled with my progress.